Home > Advice > How to become... > Where can public sector jobs take me? Where can public sector jobs take me? "I can say, hand on my heart, that working in the public sector is the most rewarding way I can contribute to society and earn a living." This is what one public sector worker said in an interview with the Guardian, and it's a pretty common attitude. But what exactly are public sector jobs, and how can you pursue a career in the public sector? In this guide, we explain what the public sector is, what public sector jobs you can do, what skills you need and how to begin your career. What is the “public sector”? The public sector is made up of all the organisations and bodies run (directly and indirectly) by the government and paid for by taxes and other public money. It is called the public sector because it is owned by all of us, and it is made up of public services for everybody to use, such as healthcare and education. Local councils (known as “local government”). National government (referred to as “central government”) and the departments it is made up of, such as the Home Office, Foreign Office, Department for Work & Pensions, Department for Education and Department of Health & Social Care. People who work for these departments are called civil servants and they work there whichever political party is in charge (so you won’t lose your job if there’s a change of government!). Agencies and bodies such as the Met Office, DVLA (vehicle licensing), Food Standards Agency, Highways England and Jobcentre Plus. What are public sector jobs? 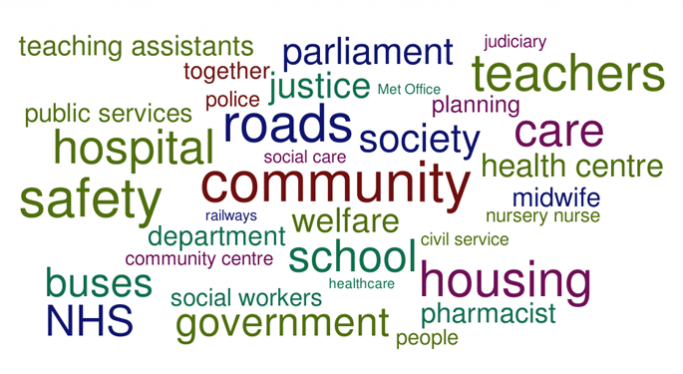 Public sector jobs are many and wide-ranging; they make up almost 17% of jobs in the UK. There is also a difference between the public sector and “public services”. 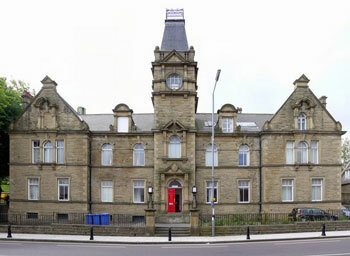 Public services are services available to everyone, but they may be provided by a private company hired by the government or a local council. Strictly speaking, you don’t have a public sector job if you work for one of these private “contractors”. Schools: Teachers, teaching assistants, careers advisors and admin staff. Roads: Highway officers (national roads such as motorways are handled by central government). Social care: Care assistants, personal assistants, support workers, key workers (often provided by private companies). Civil service: Employees of government departments. Parliament: Administrative staff who work for the Houses of Parliament. Judiciary: Judges and the administrative teams who make up the UK courts system. GP surgeries: Doctors, nurses, pharmacists, admin staff. Hospitals: Surgeons, consultants, nurses, phlebotomists, midwives, porters, pharmacists. Community: Nursery nurses, health visitors, community nurses, midwives, admin/support staff. Police service: Police officers, detectives, police and community support officers (PCSOs). Armed forces: Those working for the British Army, Navy, Royal Air Force in a combat or support role. Civil security: Cybersecurity analyst, intelligence analyst. This is just a snapshot of the job roles on offer in the pubic sector. Because it is made up of central government, local councils and an almost endless list of agencies and bodies, you could work in pretty much any capacity you can think of. Roles include database developer, project manager, software engineer, admin assistant, customer service officer, civil engineer, cybersecurity officer, architect, analyst, actuary, accountant, IT manager, meteorologist, driving examiner. As you can see, there is a vast range of career paths open to you in the public sector and public service. In fact, more than three in every 20 jobs in the UK is in the public sector. This means there are many opportunities open to you if you’d like to work in the public sector. Many public servants say they were drawn to the public sector by the desire to make a difference, make a contribution to society or their community and to help other people. They were also attracted by the range of opportunities, the possibilities for career progression, the security and benefits such as salary and pension (although pay has been frozen in the public sector for several years now due to government cuts). This very much depends on what kind of job you’d like to do, but it’s worth bearing in mind that there are possibilities straight from school without any additional qualifications all the way up to university graduates with degrees or even postgraduate qualification. Planning officers, for example, will usually need to take an additional qualification after their degree to qualify for their role. 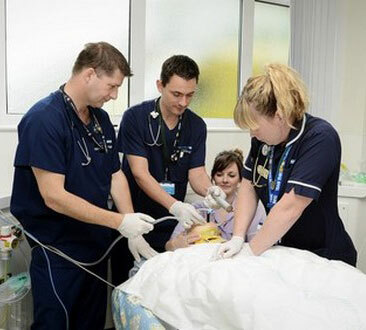 Doctors have to study for seven years to attain a medicine degree, while nurses and social workers also need degrees, as do many IT, engineering and finance professionals. Apprenticeships are also becoming more and more available for particular roles. Entry-level: Customer service, admin, support, library assistant. Graduate: Planning officer, architect, engineer, GP, nurse, librarian. It is also common to progress from an entry-level position to a senior position from within the public sector. For example, a librarian could become a head librarian, or a customer service officer or admin worker could progress to become a manager. Attributes such as a caring and compassionate nature will also stand you in good stead, as will patience and good humour, particularly if you are working with vulnerable members of the public reliant on you for support. Check out our Public Sector & Government Career Zone to learn more about the variety of ways you can lead an exciting and rich career in the public sector.